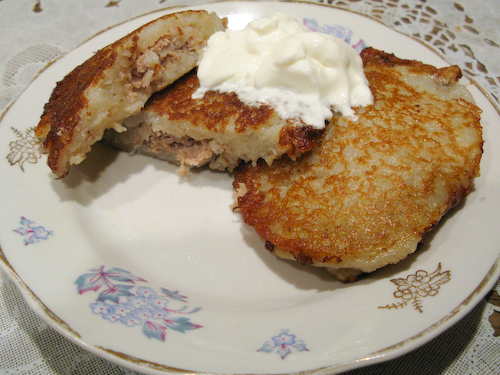 This one is another recipe native to Belarus and might not be very well known other places. 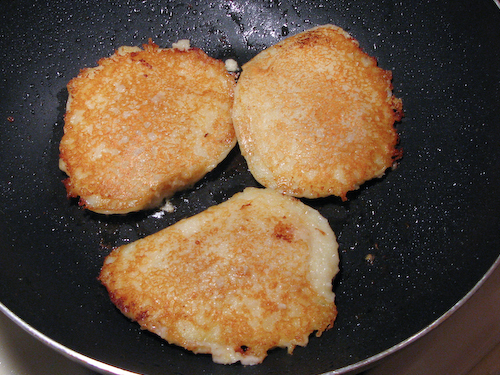 It is very simple is basically a combination of the Draniki recipe and the Kotleti recipe. 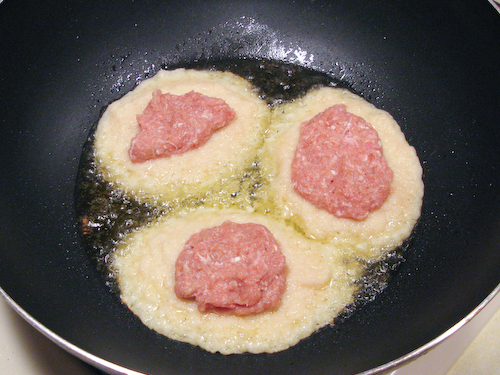 All that you really have to know is how to make the stuffed patties. Prepare the draniki and the stuffing. 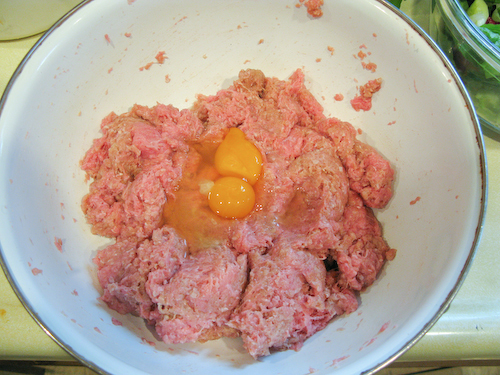 Combine all the ingredients for the stuffing and mix until uniform consistency. 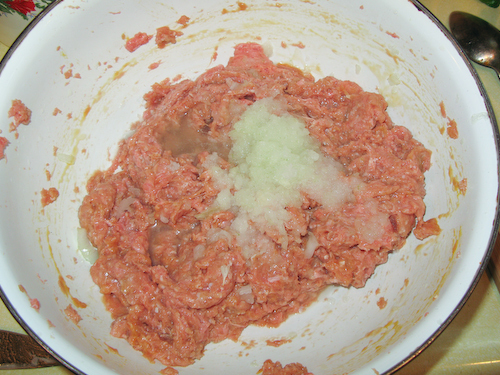 Don’t be afraid to taste-check the stuffing for salt, just don’t go eating a whole lot of raw meat. 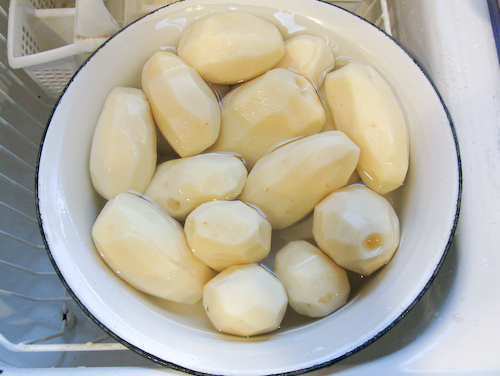 Peel and wash the potatoes, keep them under water while grating so as to not let them oxidize. 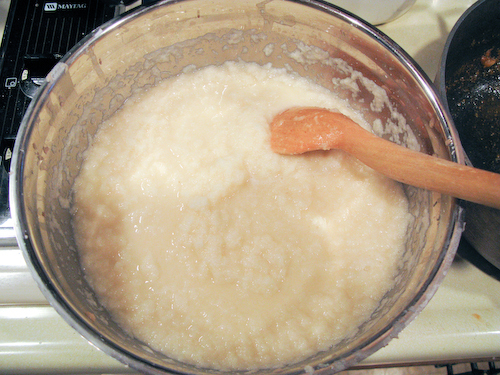 Combine all the ingredients for draniki (check the draniki recipe for explanation of kefir+baking soda) and mix thoroughly. Again, taste-check the salt level. 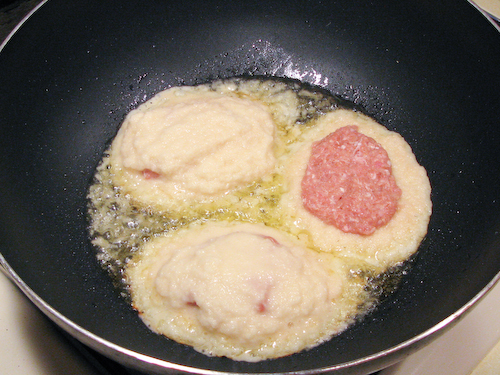 Let them cook for about 4-5 minutes and carefully flip them using a spatula. 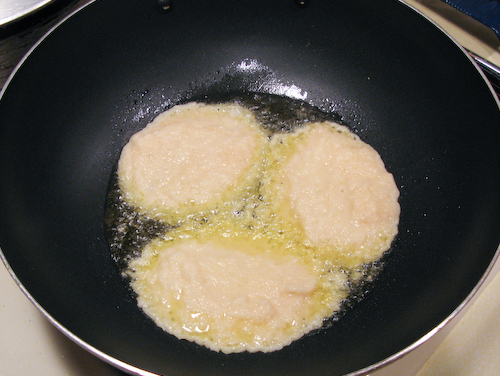 If they are too runny, add more flour to the batter. Depending on the type of meat and the size of the kolduni, you may need to cook them a little further. Either let them sit in a large pot over a small flame for about 15 minutes or bake in the oven. Posted in: Beef, Chicken, Meat Dishes, Potatoes. Truly a flavorful classic! 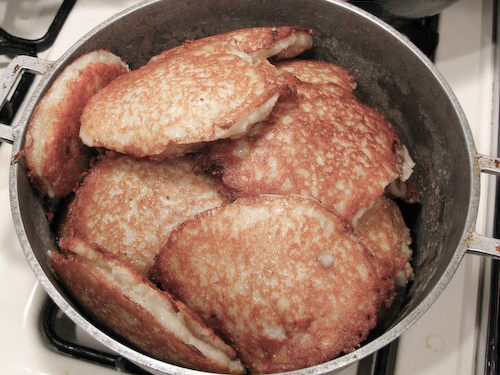 Thanks for sharing this Russian treat!